You’re newly engaged and excited to start planning your wedding. It can be a bit overwhelming. Where do you start? What do you need to book first? Who are the best wedding vendors in Toledo? We can help you with all of these questions and more. First: Where do you start? After picking a date we recommend booking your venue because that will guarantee you get the location you desire. Most venues will have in house catering, if they don’t be sure to book the caterer next. The three things that will make or break your wedding are the food, the DJ/MC and the Pictures. Clearly that means you need to find a top notch DJ make sure the evening goes the way you have planned. And great photographer to capture those memories created. After those major wedding vendors it’s really a matter of what is most important to you whether you are looking for a top notch photo booth for entertainment, decor rental for style or up-lighting for ambiance. Sunrise Park and Banquet Center– Mary and the staff at Sunrise have been working together for over 20 years. Their food is always good and they truly care about making your wedding day special. You can not go wrong with Sunrise Park for your wedding venue. The Armory Arts & Events Center– The Armory is one of Northwest Ohio’s best kept secrets. It was once the the National Guard Armory that has been transformed into a beautiful venue used for weddings and more. We have been lucky enough to be a part of a few weddings at the armory and every time we are there it is a great experience. You don’t have to bring in catering though as they do not have their own in house caterer. DJ TomTom– We have worked with DJTomTom more than any other DJ. That’s probably because we are owned and operated by the same family. Bottom line is Tom loves what he does and believes weddings are personal which means he keeps your priority top of mind. His assistant is what sets him apart from other DJ’s because she helps to keep all your vendors and VIP guests on the same page. DJ Rick Clark– From Touch the Sky DJ’s is another top notch DJ that we have worked with at quite a few weddings. What sets Rick apart from other wedding DJs is the diversity of DJs on his team. They have DJs that are inclusive to every walk, belief, and preference the world has to offer. That and every one of their clients would undoubtedly tell you that “they care about our clients”. DJ Diamond Lee– Damon Lee of DJ Diamond Lee Music Entertainment is great at listening to and handling your wedding vision. Once your reception starts, he helps coordinate with all your vendors to provide a worry-free experience. Great Music at the right time will be played all night to keep your guests ecstatic. He is classy and a lot of fun to work with. Ashley’s Photo Design– They pride themselves in customer service, with their quick response time all the way to over delivering as customers are the most important part of the business. They also offer drone coverage which is included in two of their packages, for another angle. They are a husband/wife team, there are always two of the same photographers as Ashley doesn’t need to hire a different second shooter every time. Breakthrough Images– What sets Bethany apart is the care she has for her clients. She truly cares about them and their marriage! She loves getting to know them and following their journey as a new family! We always enjoy working with Bethany and her team. Love Is Greater Photography– They have lots of things that set them apart but a few of their favorites are the fact that they’re a team. That means assurance of excellent quality every time for their clients. Teams facilitate creativity! With LGP you get an experience team that specializes in weddings. Their turn around time is also really fast. The entire wedding gallery is delivered within 4 weeks… most of the time sooner. I think their client experience is pretty awesome. Being in the wedding industry for the past 10+ years they have built great relationships. They also encourage their couples to use us as a resource for finding other wedding vendors. So after you have booked your venue (and caterer), DJ and photographer, now what? We recommend working on other things like finding that perfect dress or having your man get his suite rental locked in. 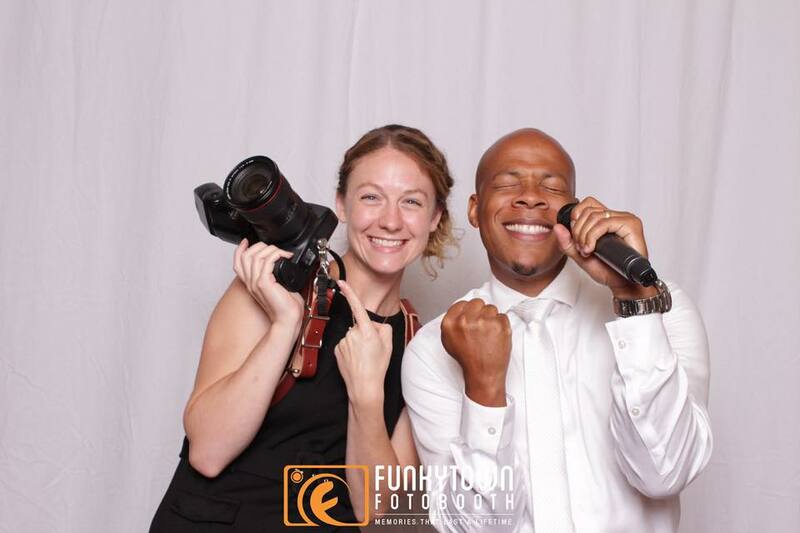 Of course we also recommend you book the best photo booth in Toledo, Funkytown Fotobooth. You can ask anyone of these vendor listed and they will tell you we are the photo booth to have at your next event. Feel free to check out what we offer and what sets us apart from the other photo booth’s in the area. Then click the book now button. Also don’t hesitate to reach out if you need any recommendations for other wedding vendors as we love to help you plan your perfect wedding. Another great place to start is the Toledo Wedding Guide. TWG has the top wedding vendors of Toledo all in one convenient location. You can also pick up their magazine from us, just reach out and we can setup a time to get you a copy.